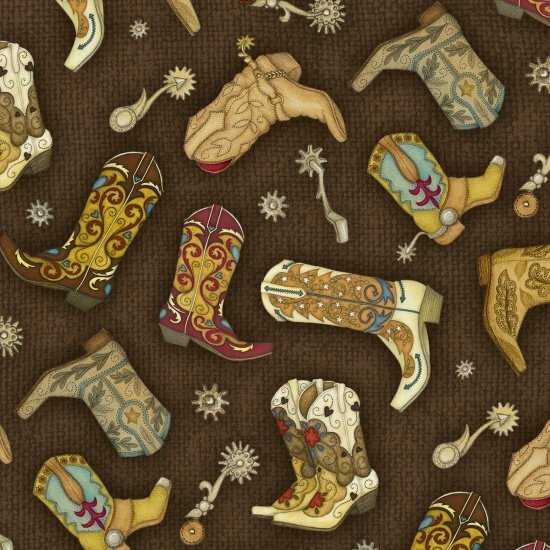 Brown burlap texture with tossed cowboy boots and spurs. From the Rodeo Roundup collection by Beth Logan for Henry Glass & Co. Inc. 100% cotton. 44"-45" wide.